When we talk about drunk driving, you probably think of driving a motor vehicle while intoxicated. But the truth of the matter is that there are many other forms of drunk driving, like drunk biking, drunk walking or even drunk golf carting. According to ABC40, police in Maine report that the golf cart accident causes some serious injuries — so serious that a LifeFlight helicopter was summoned. In this accident, a 52-year-old golf cart driver was thrown from the cart that was being driven by a Massachusetts man. The driver of the golf cart was arrested for drunken driving. Our Boston drunk driving accident lawyers understand that alcohol’s effects on your body can significantly increase your risks of an accident, regardless of what you’re doing. Difficulty walking, blurred vision, slurred speech, slowed reaction times, impaired memory: Clearly, alcohol affects the brain. Alcohol affects brain chemistry by altering levels of neurotransmitters. Neurotransmitters are chemical messengers that transmit the signals throughout the body that control thought processes, behavior and emotion. And most importantly, alcohol increases your risks for an accident, no matter how you’re traveling. According to The Century Council, there were more than 110 drunk driving accident fatalities in the state of Massachusetts in 2011. These fatalities accounted for more than a third of all of the traffic accident fatalities witnessed throughout the year. During the same year, there were close to 10,000 drunk driving arrests in the state. Another 66 were arrested who were under the age of 18. These accidents cost the state close to $800 million in various damages and related costs. Unfortunately, people may be getting too comfortable drinking and then getting behind the wheel of golf carts. Many believe that it’s safer than getting behind the wheel. But the truth of the matter is that it’s just as dangerous. Earlier this year, officials in Peachtree shared video of a traffic stop in which officers were forced to pull a Taser on a person who they believed to be driving a golf cart drunk and who had just caused a scene at a bar, according to WSBTV. 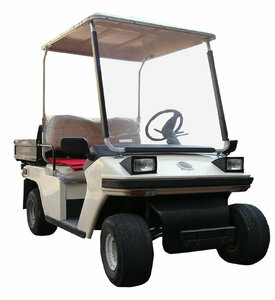 According to recent records, golf carts were involved in close to 15 percent of the DUIs in Peachtree in 2012. Remember the accident in 2011 when a Massachusetts man was charged in New York for driving a gold cart drunk? It’s no joke. In this incident, officers received a report that there was a man that was dressed as a clown was operating a stolen golf cart on the streets of Batavia. Officers were able to locate the 37-year-old of Stoneham, Mass., at a home in Batavia. After being arrested, the man entered a not guilty plea to a misdemeanor count of driving while intoxicated and also for refusing to take a breath test.